Body For Life is actually a somewhat old book, but it's got a certain amount of fame attached to it. It was a bestseller, the program centered around a challenge (winner of the challenge got a sports car) that itself is somewhat famous, and one of the competitors (Joel Marion) has recently written his own quite interesting diet book. Okay, it's 10 years old, but some of the best ideas in training are much, much older. So what's in the book? The book opens and closes with inspirational success stories. Some fairly generic (overweight, became leaner and stronger), some quite dramatic (HIV and cancer survivors), all with before-and-after shots. It's fairly packed from end to end with motivational stories of people who completed the 12-week Body-for-LIFE challenge. The parts between are filled with anecdotes and inspirational writing. If you know someone, or are someone, who needs a reinforcing story and motivation, this book is for you. If you just need a diet and exercise plan, you're still on solid ground but won't be inspired by the stories. Their inclusion is fairly pervasive but they don't actually get in the way of the details of the plan. The book spends a good chunk of its page count on those stories and on motivating you to match their example when it comes to effort. Parts I and II of the book, pages 1-32, are just that. Fact: Too much exercise prevents results. This myth is one I battledaily, [The workouts in the book] take less than four hours a week. That's it. That's all you need. And despite what so many people believe, working out more is not better. It's really not. Good stuff! The diet myths are equally well dealt with, although it does have a touch of "too much saturated fat is bad for you." Which is only sort-of true. It's bad if you aren't getting good proportions of saturated, polyunsaturated, and monounsaturated fats. It's that one of them is bad, just that generally people get a massive amount of saturated fats and not much of the others - that is bad. But that's a nitpick, the food recommendations aren't sabotaged by this one thing. The next section concerns training. Basically, you do weights and aerobic exercise on different days. The strength training is based on pyramiding up weights based on intensity. They are broken into upper and lower body workouts. You do 5 sets for each body part (ugh, body part splits for beginners...), followed by a sixth set of a different exercise for the same body part. Each set ramps up the intensity, so you start light and then move up to weights that require increasing effort, rated on a 1-10 scale. The fifth set is the "High Point" and you're aiming for a 9 out of 10 intensity; the sixth set is part two of the "High Point" with a 10 out of 10. It's a 1 minute rest except between those High Point sets, which are a no-rest superset. The intensity is how intense those reps and weights feel, not how hard you work. You do them all hard, 1 second up, 2 seconds down, you just aim for building intensity. Then you whack those muscles different for even more. It's a pretty standard pyramid progression, in a mostly bodybuilding range (it's all 6-12 reps). But it should work, especially for the beginners it's aimed at. The cardio is always 20 minutes. No more, no less. But like the strength training, it's build on building up intensity to a peak. Unlike strength training, it does this repeatedly, building to a peak, dialing back, and then peaking again. You end with an all-out effort. Sound familiar? It's HIIT aka interval training, and it works. This is a nice change from the usual "do some cardio" you find in unified diet-and-exercise books. Bill Phillips rants nicely against the "add more cardio" approach of do 20 minutes, then do 30, then 40, etc. on the reasonable grounds that he wants a life outside the gym. Just 20 minutes and you are done, but you have to work hard. The diet section is portion-controlled, with eyeballed portions and an emphasis on lean protein, veggies, and complex carbs. Lower fat, generally, although it's not militantly anti-fat. There is a push for EAS Myoplex in their (Bill Phillip's company), but not a heavy one. There are sample meals and sample diet plans. Again, it's all clearly workable stuff, and it had a one-day cheat day when you can eat whatever you want. There is a good emphasis on eating right 6 days out of 7, getting back on the wagon if you fall off, and choosing generally healthy foods. There is a consistent emphasis on working hard, working efficiently, and getting back on the program when (not if, when) you fall off. It's inspirational and solid advice. He dismisses perfection as unachievable and possibly counter-productive. The book has a nice section on exercise techniques, with good pictures and tips (and more pictures) on what not to do. 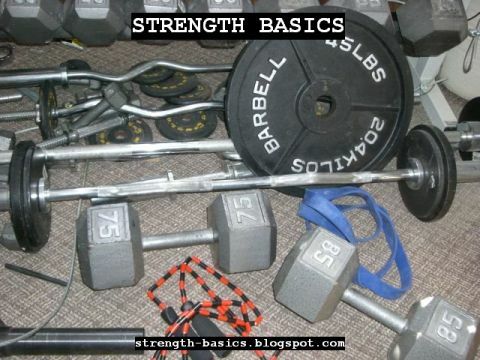 There is a pretty even mix of free weights and machines, compound and isolation. So you'll find back squats, lunges, and standing presses (free weight, compound) mixed with seated leg curls, leg extensions, and dumbbell flyes (machine/machine/free weight, isolation). Still, the instructions are generally good, and the pictures are fine, with the usual "back squat isn't parallel" (and what part of the thighs need to be parallel isn't specified; it's the top, just so you know) and "bench pressers elbows are flared, unlike the description)" caveats. Seriously, is there a school where folks posing for these pictures go and learn how to not hit parallel and how to flare their elbows? Otherwise, a beginner would do okay with just the information presented here. Content: 3 out of 5. It's good stuff on diet and why to exercise; the how is pretty good but there is better out there. Presentation: 4 out of 5. The layout is good, the pictures are clear, the handy ready-to-copy workout sheets are put together clearly. Overall: The book shows its age; you might do just as well or better on NROL or another comprehensive diet and exercise book. But still, this isn't a bad plan at all. Just perhaps a bit too focused on some marginal exercises and isolation. The emphasis on setting goals, working hard, and getting back into it when you fail are all really noteworthy and positive.